Fault tolerance is a pre-request not only for safety critical systems, but almost for the majority of applications. However, the additional hardware elements impose performance degradation. 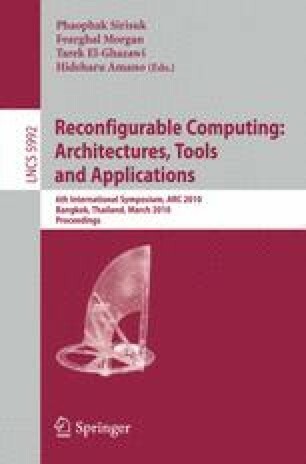 In this paper we propose a software-supported methodology for protecting reconfigurable architectures against Single Event Upsets (SEUs), even if the target device is not aware about this feature. This methodology initially predicts areas of the target architecture where faults are most possible to occur and then inserts selectively redundancy only there. Based on experimental results, we show that our proposed selectively fault-tolerance results to a better tradeoff between desired level of reliability and area, delay, power overhead.